Jake on How to reset D-Link Omna 180 Cam HD DSH-C310 camera back to the factory default settings? How cheap is too cheap? D-Link has found the sweet spot between low-priced, but low-quality smart home systems (from the likes of Archos) and pricey security systems. It’s now planning on opening up its system to many more accessories, judging by the D-Link DCH-G020 connected home hub that just passed through the FCC. The system will likely bow next month at CES 2015, but the US wireless regulator has revealed quite a bit, including manuals and photos. The hub will control Z-Wave (low-power RF) as well as WiFi devices, meaning it’ll work with third-party alarms, detectors and cameras on top of existing D-Link WiFi cameras and accessories. 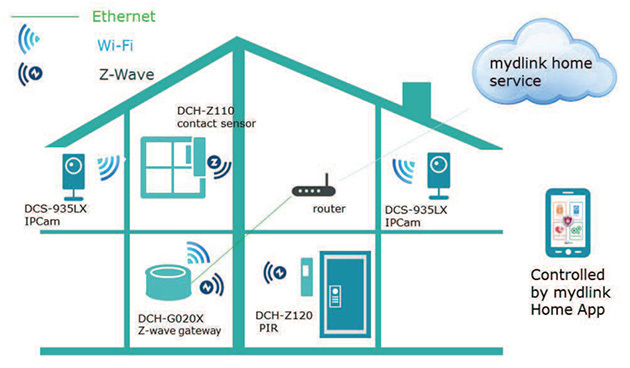 For the first time, D-Link is also set to release new Z-Wave sensors, several of which are shown in the diagram above. The hub will work with WiFi and Z-Wave devices at the same time and connect with a WiFi router. The whole thing is controlled by a smartphone, which you can use to add devices either manually or by scanning their QR codes. From there, you’ll get the usual scheduling and notification options. There’s no word on pricing or availability yet, of course, but it looks like an interesting option for folks torn between cheaper WiFi and mainstream Z-Wave systems. Either way, expect a parade of similar devices to appear in less than two weeks at Las Vegas. How do I see more details on the active devices connected to the D-Link DGL-5500? Why are not all devices shown on the network map using D-Link DGL-5500 Gaming Router? How do I connect my wireless devices to the D-Link DGL-5500L router? What changes have been done to the latest firmware for D-Link DWL-2700AP Revision B? How to upgrade D-Link switch to latest boot code and firmware? What can I do if my D-Link QR code scan failed or I get an error while scanning? 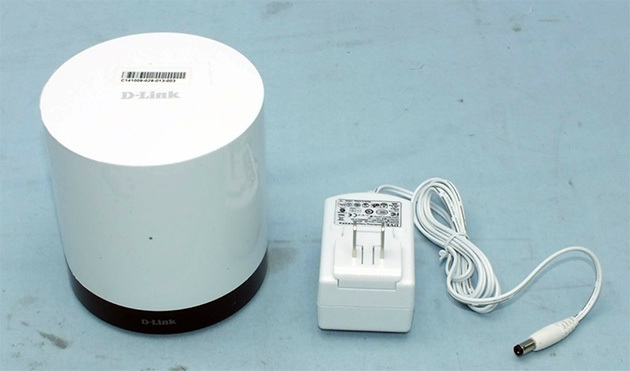 How to configure D-Link DIR Router WIFI-Protected Router/AP using WPS PIN method?